The filmed image of a breezy curtain meets the physical curtain. The object becomes a support for the image of itself, a projection that covers its surface. 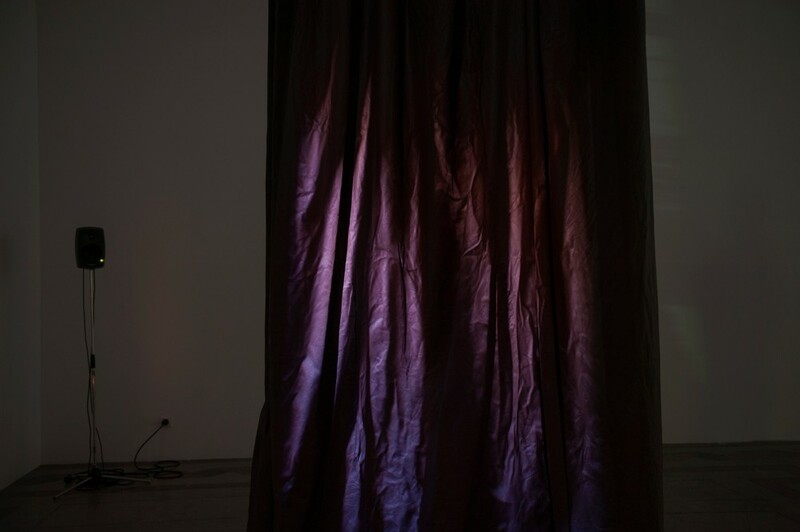 The movement of the filmed curtain animates the static object, confronting the temporality of the image with the temporality of the object (and its spectators). The curtain doesn’t serve to hide anything in the exhibition space, it simply exists as an object--a process frozen in time. A verb becomes a noun.